We will not text you for any marketing purposes. The buses are delayed returning from Camp Akita. For example, if there is an accident on 270 and we know the buses are going to be at least 30 minutes late. Severe weather at Camp Akita. 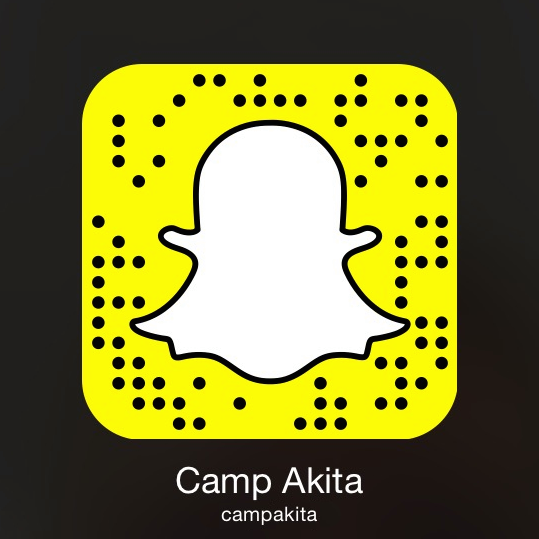 For example, a storm hits Camp Akita with severe wind and we temporarily lose power. We will continue to use email and phone calls as our primary methods of communication. Texting is a great additional tool now available to us when we need to get information out quickly and efficiently. 1. For first time campers, parents can choose to OPT-IN during the “New Family Enrollment” process. Directly below the cell phone information, there will be a check box labeled “Opt in to text message notifications from Camp Akita"
2. Parents of existing families can OPT-IN by logging in the Parent Dashboard, click “My Account” on the left-side menu bar, and select the same Opt-In checkbox below the cell phone information. 3. You may also receive an OPT-IN request by email. In the email there will be a specific link for you to opt in. For example, each parent or guardian needs to opt in separately, as the link is specific for each person.